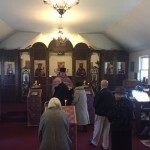 The choir prayerfully performed penitential hymns during preparation for Holy Communion. 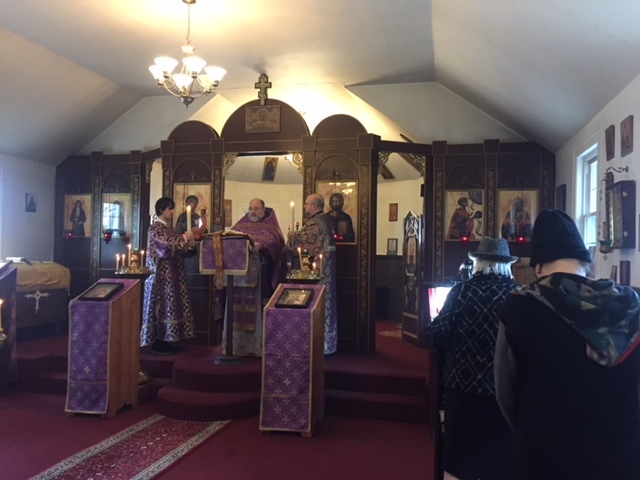 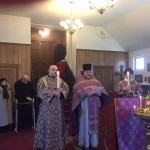 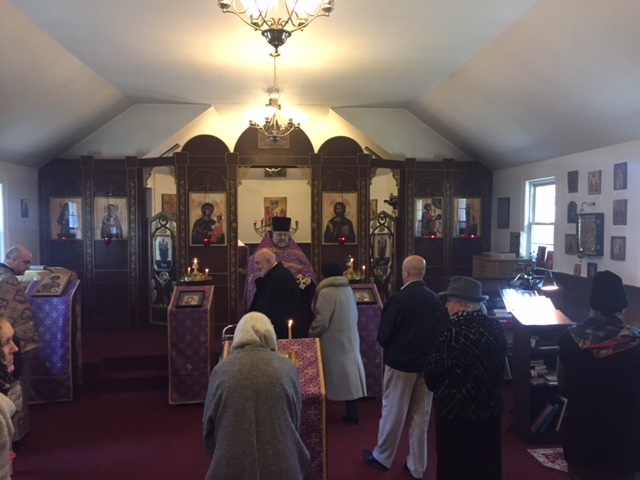 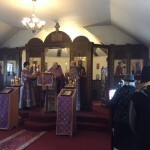 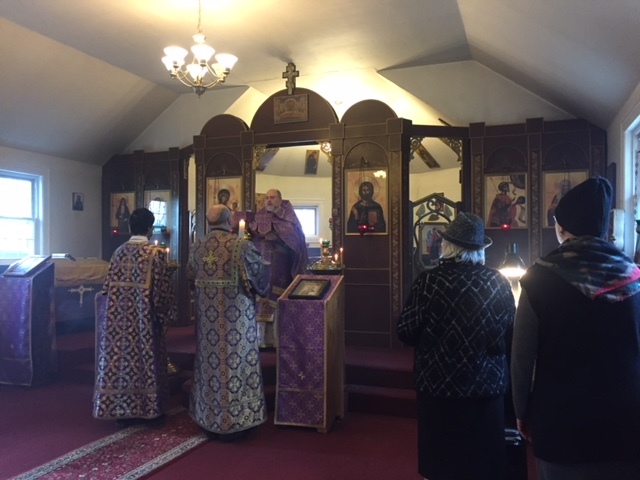 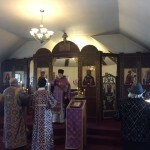 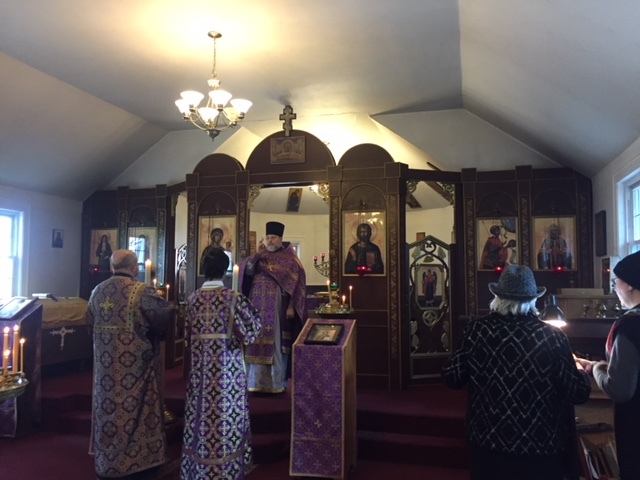 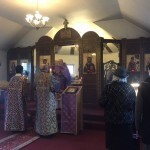 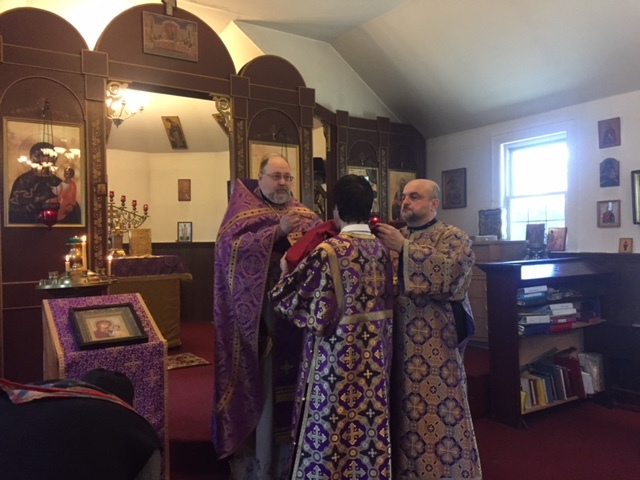 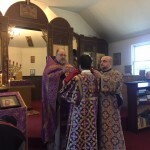 After the Liturgy dismissal the Rector performed prayer service of the Sunday of Orthodoxy solemnly declaring the Orthodox faith and proclaiming eternal memory to the champions of that faith and the polychronion to the Church hierarchy and Orthodox Christians. 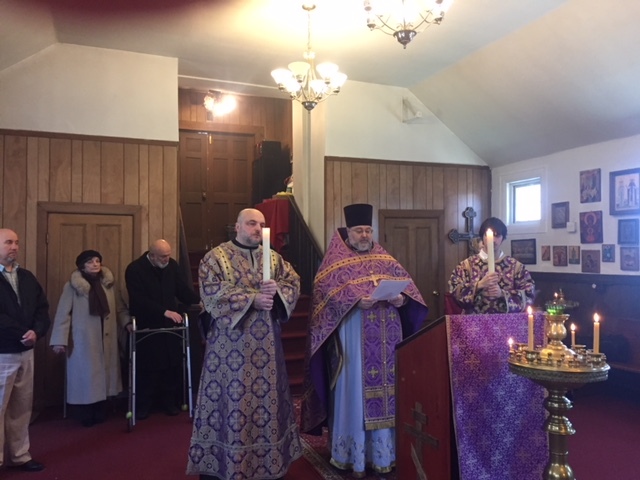 At the conclusion of the service the Rector congratulated the parishioners on the completion of the first week of Lent and wished them to continue an endeavor of further observance of the fast.